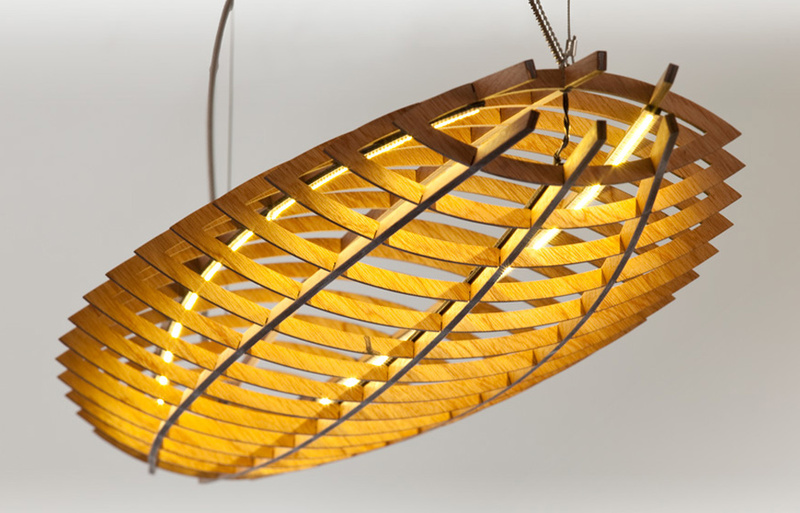 Up-and-coming designer David Cummins’ Hull pendant light is a sculptural piece inspired by the hull structure of a boat and the wing of an aircraft. Made to order and constructed from laser-cut sustainable hoop pine or birch, the Hull pendant light maximises the number of components achieved from a standard sheet of plywood. Both uplighting and downlighting is achieved with three strips of energy-efficient LED lights. After working as an architect in Ireland and Australia for two decades, Irish native David Cummins established Cummins Design in Sydney in 2011. Striving to use sustainable materials and local artisans, manufacturers and suppliers where possible, all of Cummins’ work is handcrafted at Sydney’s Splinter Workshop – a collaborative workshop of designer-makers established in 1996.